Pierre Casiraghi at the Monaco Formula One Grand Prix dinner at the Monte Carlo sporting on May 16, 2010 in Monaco. A son of Monaco's Princess Caroline is suing over a New York nightclub brawl that left him bloodied, spurred another patron's arrest and has both camps claiming the other started it. 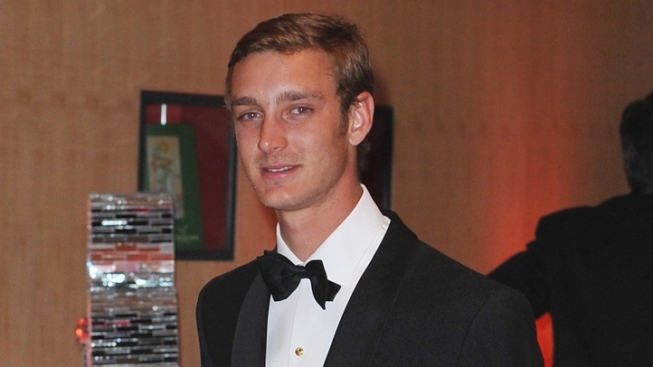 Prince Pierre Casiraghi and two friends are taking on the Double Seven club, patron Adam Hock and Hock's attorney in the lawsuit, made public Monday. Casiraghi says Hock drunkenly attacked him and his cohorts after the club owner invited Hock to sit with them at a VIP table in February. One of the prince's lawyers, Edward Kratt, has said his client's group didn't provoke the melee. Casiraghi was treated for facial cuts. Hock has pleaded not guilty to assault. The prince's lawsuit says the club shouldn't have served alcohol to Hock and should have known Hock is "a person of pugilistic propensity." The lawsuit also says Hock and defense lawyer Joseph Tacopina defamed the prince and his cohorts by saying they started the February fracas and have a history of belligerence. Tacopina said his remarks were made to defend a falsely accused client. "If they don't like the truth, that's their problem," Tacopina said Monday. A lawyer for Double Seven owner Jeffrey Jah said he "unequivocally disputes" the allegations against him in the lawsuit, which seeks unspecified damages. Jah "intends to vigorously defend against them and is confident that he will ultimately prevail," said the lawyer, Terrence A. Oved. Casiraghi is the youngest of Princess Caroline's four children. His father, Italian businessman Stefano Casiraghi, was Caroline's second husband and was killed in a boating accident in 1990. Caroline is a sister of Monaco's ruling sovereign, Prince Albert II. Hock used to be an owner of the Hawaiian Tropic Zone, a nightspot in Times Square.